Kyel Hodenfield is President of Integrated Drilling Services (IDS) for Schlumberger. 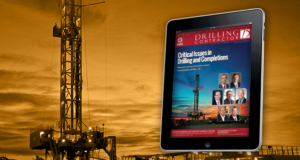 What are the biggest challenges that you see for the global drilling industry? The total cost of drilling and safety of personnel continue to be the top two challenges as we aim to drill safe, compliant wells and lower the cost per foot drilled. For drilling costs, the industry has made several advances with super-spec AC/VFD rigs, rotary steerable tools, high-torque motors and 3D diamond element cutters. 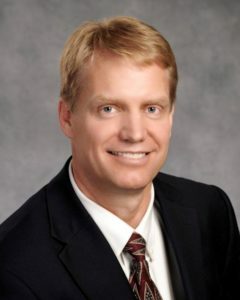 Nonetheless, depleted low-pressure zones still pose two technical challenges: drilling fluid losses and inconsistent-quality primary cement jobs. In our lump-sum turnkey business, we often drill complex wells in aging onshore fields that contain low-pressure zones. Mud losses and the rig time to cure them remain problematic and can contribute to stuck pipe incidents. A new strategy to solving these issues is sorely needed. Excessive fluid losses affected by faults, fractures and vugs in depleted low-pressure zones led us to develop a solution for this issue. In Latin America and the Middle East, we are field-testing a fluid that, when sheared through the drill bit, forms a solid gel within 3-5 minutes to effectively block the loss zone. As for achieving superior cementing, we are using a technology that improves the primary cement job across lost-circulation zones in combination with casing while drilling (CWD), since CWD has been proven to tackle mud losses in various wells. Essentially, this technology is based on an external casing packer that is built in the casing string, positioned below a diverter valve. This packer is run as part of the CWD job and has the durability to be rotated or drilled within open hole. 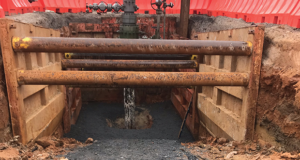 Once activated at the end of the well section, the packer creates a barrier by isolating the second-stage cement from a difficult low-pressure zone to ensure a quality primary cement job. In many well designs, the technology also eliminates a casing string and removes flat time associated with tripping pipe and running casing. In terms of safety, we’ve launched a behavioral engineering management program that expedites individual compliance with new rig crews and support contractors. We provide daily feedback on work habits. To further strengthen our driving performance, we’ve finished field-testing GreenRoad, a mobile app that serves as a personal driving monitor. This app is available to the families of Schlumberger employees. What do you see as the major challenges to encouraging more investments in technology R&D and to implement these technologies? Low oil and gas prices tend to accelerate technology development and innovation, especially when they focus on cost and efficiency. It is at these times that companies are more open to adopt proven technologies because they need to reduce cost to stay competitive. Most companies in the unconventional resources market are eager to adopt proven solutions, yet are reluctant to be the first to trial new technology. One way to align the cost and risk of implementation is through lump-sum turnkey contracts. In such a business model, the service provider sets a fixed price, which limits the total well cost for the customer while enabling the trial of innovative technologies that are designed to reduce drilling time and costs. On one of our integrated drilling services projects, we introduced 3D cutters – the AxeBlade ridged diamond element bit and StingBlade conical diamond element bit – in combination with high-torque motors. These technologies deliver a step-change in the rate of penetration (ROP) and reduce bit torque, which translates to reduced shock and vibration and improved overall BHA reliability. As a result, the BHA outdrilled the capabilities of the mud solids removal equipment. To avoid regulating ROP, the rigs were outfitted with high-efficiency shale shakers that separate low-gravity solids from the mud, thereby reducing MWD and rotary steerable erosional failures. The overall BHA reliability in this project doubled, and on-bottom ROP increased by 43%. So, by going to a lump-sum model, Schlumberger has been able to more quickly test and deploy new technologies? Absolutely. We choose which technologies to utilize on the well. In at least three projects in the Middle East, this model has achieved over 40% reduction in drilling costs. How does this change the role of the drilling contractor on their own rigs? 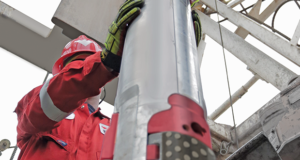 Most of the time, we contract drilling rigs where we provide the wellsite supervision and input on drilling, tripping and casing-running parameters. The rigs are often upgraded with additional high-spec equipment that improves both flat and drilling times to complement Schlumberger downhole technologies. Have you done this type of project in the North American onshore market? We’ve done many projects over the years and have ongoing projects today. Although we’ve been using third-party contractor drilling rigs, we expect in the next year to utilize new Schlumberger land drilling rigs in North America. Are there projects where this model isn’t suitable? This model isn’t suitable in deepwater or exploration wells due to geologic uncertainties. However, it is applicable on deep and difficult wells where engineering challenges are known. Those challenges may be difficult to address, but they can be quantified and solved with technology and engineering processes. 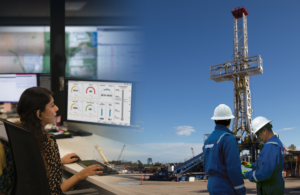 What are some examples of how Schlumberger is using data analytics/big data to improve drilling and completion performance? Schlumberger’s investment in digital capabilities, wellsite connectivity and real-time collaborative workflows allows for strategic placement of domain experts in non-wellsite locations. Let me first say that our industry does not collect enough data or have it in a form that is easily digestible. The drilling data captured by the industry from the 20,000 wells in North America per year could easily fit on just one 20-terabyte hard drive. That is nowhere near the scale of what Silicon Valley calls big data. We need to add additional sensors and capture more data at the rig in a consumable and consistent format, covering every aspect of drilling. 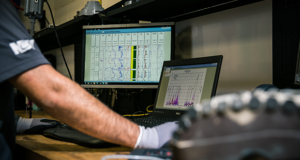 Schlumberger has a major initiative in this space called DELFI cognitive E&P environment, a cloud-based collaborative ecosystem that integrates machine learning, data and workflows. Our first endeavor in this environment is DrillPlan, which enables automation of repetitive tasks and validation workflows. 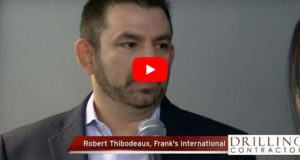 The solution gives access to all the data and science in a single common system, creating a circular workflow that enhances plans as new data is added. Prior experience then benefits future drilling programs. Data analytics is not limited to planning software. Several years ago, we started to equip downhole tools with multiple sensors to capture tool performance data. Based on results, we’ve modified our maintenance schedule to be driven by the tool’s health rather than a set time or usage schedule. This has increased tool reliability, performance and utilization. We also use RigHour multiwell drilling operational efficiency analysis to monitor and improve rig crew workflows and efficiencies. This software benchmarks connection times for consistent performance to detect poor-functioning crews that require intervention. 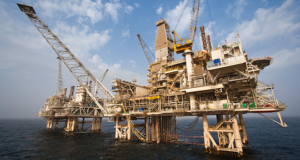 In the Middle East, RigHour analysis identified excessive connection times on multiple rig crews. A training method that utilized behavioral engineering management techniques was administered, and connection times were reduced by 68%. 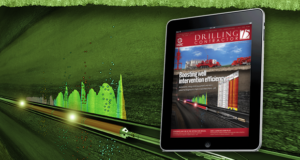 You mentioned DrillPlan streamlines the planning of wells. Does it also impact the way that the rig crews work on the rig? Yes. 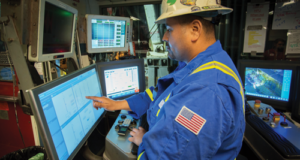 Job profiles will change as rig personnel expand their range of professional competencies. Several years ago, we started hiring data analytics experts for internal training. We teach our domain experts how to use data analytics to enhance and develop their own efficient workflows, rather than teach data analytics experts about drilling. These domain-centered workflows can be directed to automation – for example, enhancing remote operations, such as control of steerable motors and rotary steerable tools and verifying and accepting MWD data. All efforts will be geared toward driving efficiency and improving consistency. Where else will you be looking for additional efficiency improvements and cost reductions? 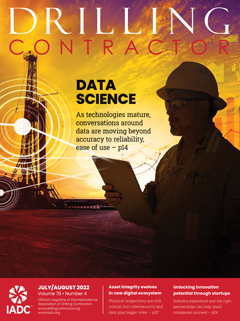 Operators could realize tangible and consistent savings when there is greater utilization of both personnel and equipment, which are the main cost drivers for drilling service providers. This can be achieved by transferring people from the rig to remotely support multiple jobs. 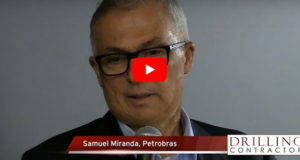 The benefits of such an approach are sharing expertise across several rigs while increasing opportunities for senior experts to simultaneously mentor multiple junior employees. What about offshore? Over the next five to 10 years, will we actually start to need fewer accommodations for personnel? That is certainly our goal. Operators constantly ask us to reduce the number of people it takes to run a quality operation. Remote operations with integration of service providers from multiple product lines is one solution, particularly when automated workflows are deployed. That will allow us to share people between multiple service lines and have fewer people overall. So does Schlumberger find itself investing more in remote operating centers? All required centers are in place. We’ve been investing in their digital capabilities so that we can run hardware in automated or semiautomated mode and have internal tool health monitors to alert personnel of predicted failures. Remote operations personnel can then notify the rig site to perform required maintenance or replacement of parts. Focusing specifically on well completions, what are some advances you’ve seen? 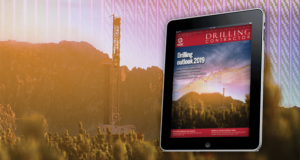 As the world’s reservoirs continue to deplete, the integration of drilling and completions is gaining more prominence. In the Middle East, for example, significantly increased contact through multilateral or extended-reach wells are one way to improve reservoir access and reduce overall drilling costs. 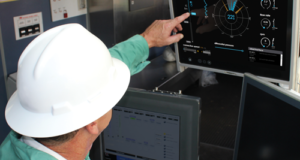 By leveraging the digital oilfield to control early onset of water or solution gas, operators are maximizing hydrocarbon recovery while sustaining production at the lowest possible cost. That’s why we’ve developed the Manara production and reservoir management system for downhole permanent monitoring and full in-lateral control of multiple zones in extended-reach and multilateral wells. The technology transmits data and power across lateral junctions, or between separated completion segments, utilizing a single electric control line. This ultimately reduces cost and complexity, in addition to improving reliability. The system can be configured for any multizone or extended-reach application to meet the asset’s needs. Do you think being configurable and fit for purpose will be more important, or is standardization going to drive more completion innovations? Configurability and standardization go hand in hand. For a system to be truly configurable, we must standardize. Every multilateral well is different. Some have a motherbore with two branches; some have four or six. The agility to configure the completion system to any of those wells without requiring a whole new system is vital. With a set of suitably designed, configurable flow control modules, for example, instead of using 10 of the same systems in one well, the operator could utilize just two. Looking at the deepwater and ultra-deepwater segment, has the industry done enough for it to compete with North American unconventionals over the coming decades? In deepwater, large discoveries with high-producing wells will remain the primary economic force. The high oil prices during 2010-2014 accelerated many projects to a final investment decision, resulting in equipment and expertise shortages. Declining oil prices then led to a pullback and cancellation of many of those projects due to low economic returns. For the longer-term horizon, this pullback will benefit deepwater operators because that sector requires lower cost and risk to compete with unconventionals. Equipment standardization will lower both cost and risk. The deepwater segment has already experienced significant cost savings in deepwater completions and subsea infrastructure and can expect further reductions via standardizing equipment and specifications, both within a single operator’s activities and across the industry. The same approach must be applied to drilling. Here is an example. 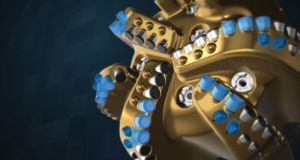 Due to different hole sizes drilled in deepwater Gulf of Mexico, Schlumberger has more than 30 sizes and types of rotary steerable tools to address operators’ needs. This results in investing in equipment with poor utilization – sometimes only used on one well. Standardizing hole sizes in the overall well design is an obvious place to start. Efficiency in deepwater still requires improvement, and this can be achieved through further integration of services. 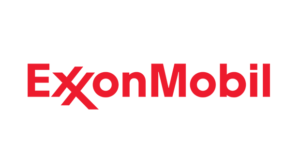 We witnessed a recent success when two of our product lines collaborated with a drillship provider to incorporate the first fully integrated managed pressure drilling system for a deepwater well. 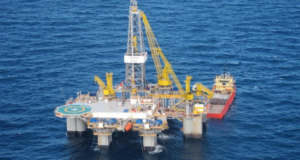 This deployment saved two weeks of rig time by eliminating a contingency liner. The mud programs were adjusted to minimize losses, saving additional drilling time. As a result, the first well delivered a savings of over $5 million. Looking back at this downturn over the past few years, how do you think it has changed us as an industry, and what are some things that you think we have not been able to change? The downturn has forced the industry to innovate and increase efficiency to remain viable in fields with marginal economics. The best examples are in the US unconventional basins, where there has been astounding progress over the past four years. Industry accomplishments have changed the narrative from peak oil supply to peak oil demand. What the industry needs to change are our overall image with the new generation, our approach to recruiting talent and the key messages on sustainability performance. 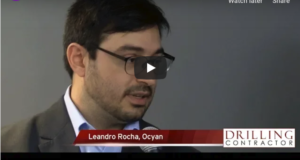 The younger generation sees volatility as a theme in the oil and gas industry and perceives us as far behind in data analytics, artificial intelligence and machine learning. We also need to highlight how they can contribute to developing innovative technologies that aim at efficiently producing energy resources while lowering the environmental footprint. These are the main barriers to attracting the best and the brightest.